The Prince Martin Epic Series -- NEW! The Prince Martin Epic Series books are classic tales about a boy who discovers the true meaning of courage, grit, and friendship. Mix 'n match these adorable duckies with your favorite book or add to your collection! Child Safety: The duckies meet or exceed applicable safety and regulatory requirements, including the Consumer Product Safety Improvement Act of 2008 and its regulations. Caution: Not recommended for children under 3 years of age. Duckies do not float upright. Newest Releases from Abbess Mother Melania! The story of Moses is the story of God's deliverance of His people from slavery to the freedom of worshiping Him. In particular, the Passover (Pascha) of Moses and the Israelites at the Red Sea is the focal point of the Old Covenant and a key scripture associated with Christ's Pascha and our baptism from the death of sin into the life in Christ. 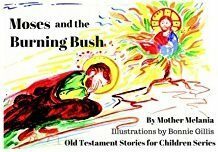 The current story, Moses and the Burning Bush, was richly mined by the Fathers on many levels, but one of its key aspects is certainly the Burning Bush as a "type" of the Theotokos. As the bush that "held" God burnt without being destroyed, so was the Theotokos unharmed by the fire of Christ's divinity when she bore Him and gave Him birth. The three holy youths are beloved examples of faithfulness unto death. Yet their story contains deeper meaning than this. The Fathers generally understood the "Angel of God" to be Christ Himself. (Angel means messenger, and Christ is the very WORD of God.) Thus, the firey furnace is an image of the Theotokos (Virgin Mary), who contained the fire of the Godhead inside her and yet was unharmed. Also, this passage prefigures Christ's Passion and Resurrection - He descends into the flames of Hades with us, preserves us unharmed, and leads us out into Eternal Life. So, we read this passage on Great and Holy Saturday, as we await Christ's Resurrection and our own in Him. Appropriate for ages Preschool and up. For Kindle Editions, please click the title to order: Moses and the Burning Bush and The Three Holy Youths in the Furnace. Please consider ordering on Smile.Amazon.com because they donate a portion of the price to our monastery. Join the animals at the Duckpond as they journey through Great Lent towards Pascha (Easter). Along with them, we learn that Lent is not about the rules, but about allowing God to change our hearts through love and repentance. 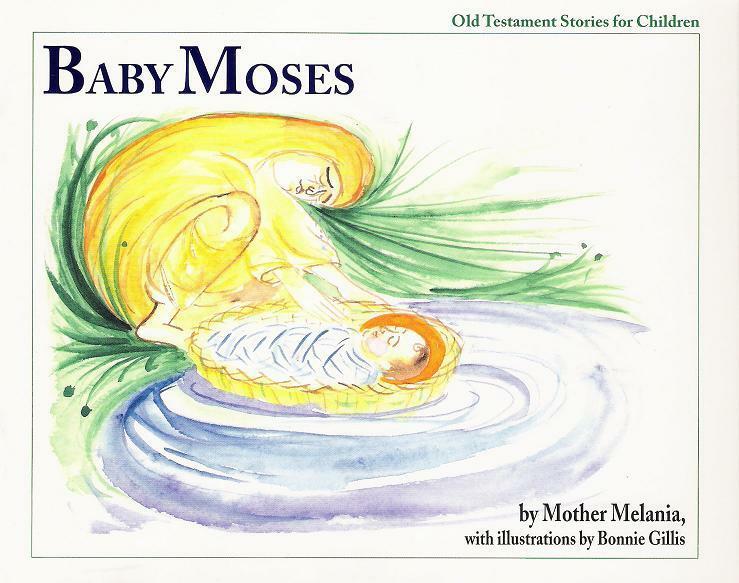 Written by Mother Melania and illustrated by Cayce Halsell. Appropriate for ages 4 years to 9 years old. Click here to order. Please consider ordering on Smile.Amazon.com because they donate a portion of the price to our monastery. 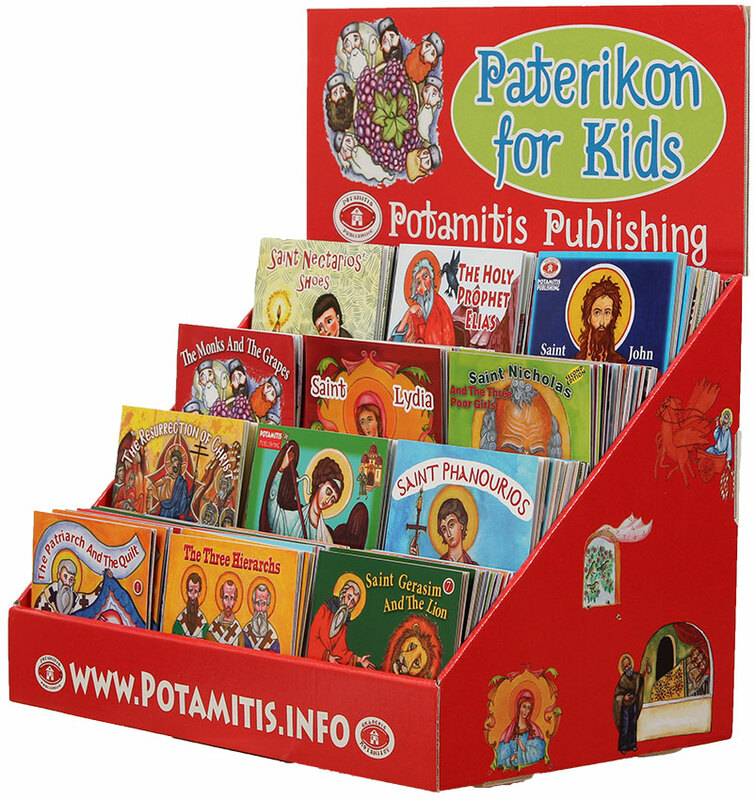 The Paschal Triduum of Holy Friday, Holy Saturday, and Holy Pascha is a time of wonder and excitement for Orthodox children. The services engage everyone in the saving events of our Lord’s Passion, Death, and Resurrection through the rituals we see, the hymns we hear, and the things we touch, kiss, taste, and smell. 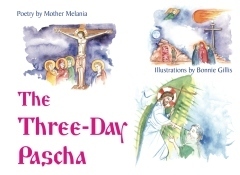 The Three-Day Pascha Series, now presented as one book, unites the Three Days through poetry and painting, expressing for children (and adults) the single mystery of the Passover of Christ, and of us in Him, from death to life and from earth to heaven. 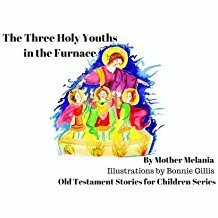 Mother Melania’s poetry and Khouria Bonnie Gillis’s artwork, will remind children of what they have seen and done in church on each of these days and will invite them to think about and enter into the wonder of those days on their own level. In this beautifully illustrated series written by Mother Melania, readers meet the inhabitants of the Duck Pond. Through their adventures, Fearless the Fireduck, Harry the Hound, Charity the Churchmouse and their many neighbors learn important lessons of caring for others, humility, and patience. Children of 4-9 years of age from all backgrounds will enjoy these humorous, colorful stories. This delightful children's series was written by Mother Melania and illustrated by Bonnie Gillis. 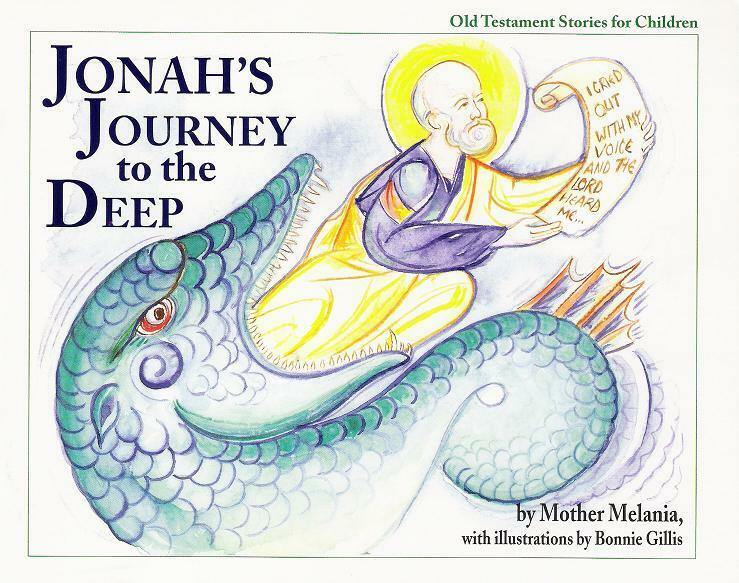 Using simple verse and colorful, semi-iconographic illustrations that are both sweet and reverent, the series aims to introduce children and their parents to the profound truths revealed in the pages of the Old Testament. Our hope is that the readers will develop a thirst to meet Christ in the Scriptures that so richly reveal Him. The only books available are the ones shown above. Sorry, Noah and the Ark of Salvation is out of print. We plan to self-publish the entire series at a later date. Please watch for future announcements in our forthcoming newsletters. This series was written by one of the nuns. Elegant watercolor illustrations highlight the beauty of each of the Church's feast days. The simple, psalm-like poems are written especially for children, but the whole family will enjoy them. 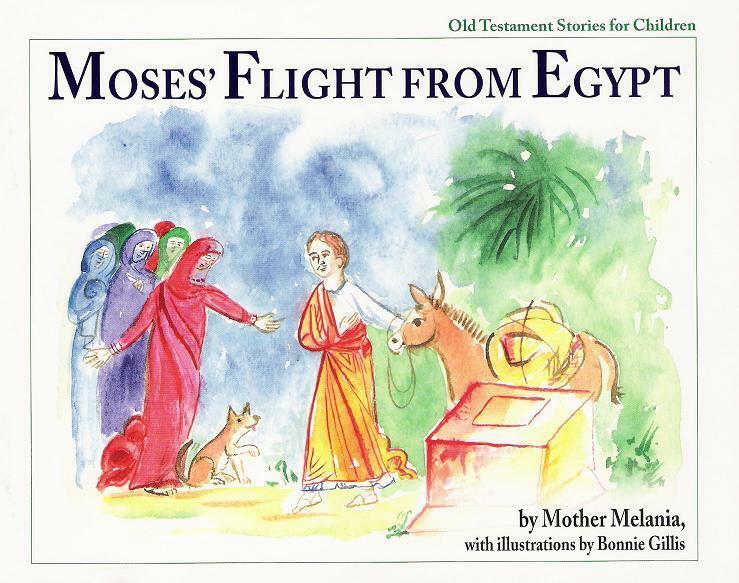 Great for preschoolers to peruse in church, or for early readers. The only books available are the ones shown above. Sorry, the other books are out of print. We plan to self-publish the entire series at a later date. Please watch for future announcements in our forthcoming newsletters. Photo added with the permission of the publisher.